Our team members have successfully removed stains, moss, mould, pollution signs and more from brick, stone, concrete and other building surfaces. You can rest assured your property’s exterior will look amazing after we do our job. For your convenience, you can book our pressure washing service Swansea every day of the week and in the evenings for the same price. With us, you can choose from a large variety of affordable, expert services. We will come fully equipped and prepared to perform the service you have booked in the most efficient time possible. And you needn’t worry about your health because we use eco-friendly cleaning products as part of our ongoing policy to deliver environmentally safe services. 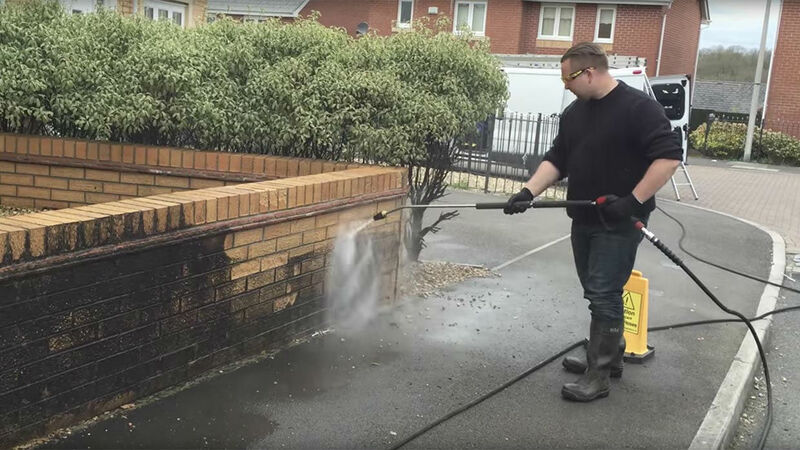 Plus, when you book more than one jet cleaning service Swansea with us at the same time, you can have your property’s exterior cleaned top to bottom and still make savings! Crystal Clear Services is a local family run cleaning business based in Swansea. All our staff are professional with a proven record of quality work and friendly service. We have over 8 years experience in all aspects of cleaning and provide a professional service every time. We’re proud of our good reputation and offer a 100% satisfaction guarantee with all our work. We carry full public liability insurance for your peace of mind and can provide any health & safety paperwork or certificates of training your company may require. We specialise in all high level cleaning. We cover all aspects of cleaning offices, retail outlets, factory units, nursing homes, pubs and clubs. We provide a range of services including the services listed below. Call 07846 873344 now. Our experienced customer care staff are available around the clock to offer you free, no-obligation quotes and help you identify and book the right pressure washing service Swansea for your needs. You can receive immediate answers to your questions through our online chat support feature as well. You can also choose to fill in our online booking form to schedule jet wash service Swansea right away. Have your domestic or commercial building looking like new, at one of the lowest prices in and around Swansea. We offer honest and expert information on commercial window cleaning, such as offices and shop fronts. We’re also innovative and embrace the latest technology, methods and materials.